Meizu is a smartphone manufacturer that is based in China, and they have come up with their fair share of smartphones in the past that certainly looked great, with constant improvements being introduced in newer models as time goes by. This time around, the flagship Meizu PRO 6 is all set to be replaced — with the aptly named Meizu PRO 6 Plus, taking a page out of Samsung and Apple’s play book, we presume. This new flagship smartphone will also be accompanied by a totally new operating system version — the Flyme 6 OS. 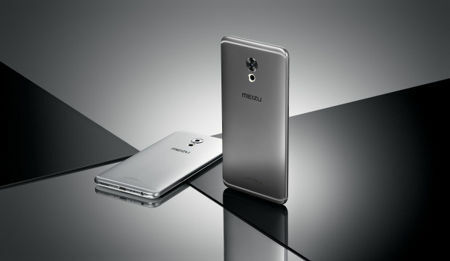 The Meizu PRO 6 Plus has been marketed to be “stronger than ever”, although that remains to be determined what the adjective “stronger” would cover. Would it mean that it is hardier in terms of its build, or will it be a more powerful device? From what we do know about this flagship smartphone, it will come with clearer and sharper 5.7-inch display with 2560 x 1440 resolution, which would certainly offer eye-popping visuals. There will also be the powerful octa-core Samsung Exynos 8890 processor working underneath the hood, letting it handle all that you throw at it with aplomb, and then some. In terms of imaging, the Sony IMX386 sensor is used, and this 4-axis optical image stabilization (OIS) system should be able to deliver some great looking images. This sensor offers a 12MP f/2.0 large aperture camera with customized Sony IMX 386 sensor and 6-element lens, allowing it to capture photos relatively well even when used in low light conditions. You will have 4GB of RAM to keep the Meizu PRO 6 Plus company, in addition to USB Type-C technology which should be able to do away with worries of plugging in the charger or cable the wrong way. It has a battery capacity of 3,400mAh, and will arrive in 64GB and 128GB capacities.